Kurt Klagsbrunn (1918–2005) was born 100 years ago in Floridsdorf. 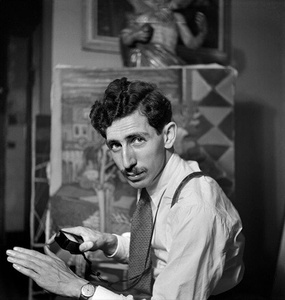 The son of a coal merchant and soccer official began studying medicine in Vienna, fled with the family via Portugal to Brazil, where he turned his passion for photography into a career and became a chronicler of Brazilian modernism and its working world. Pictures from the early Viennese years and from the escape to Latin America were also sensationally found alongside the Brazilian works in Kurt Klagsbrunn’s estate, which is supervised by his nephew Victor. The photographs that Victor Klagsbrunn has now donated to the Jewish Museum Vienna provide an insight into a dedicated and integrated Viennese Jewish suburban family who were forced to flee in 1938. Moreover, the exhibition presents an important, new visual addition to Viennese Jewish everyday history.